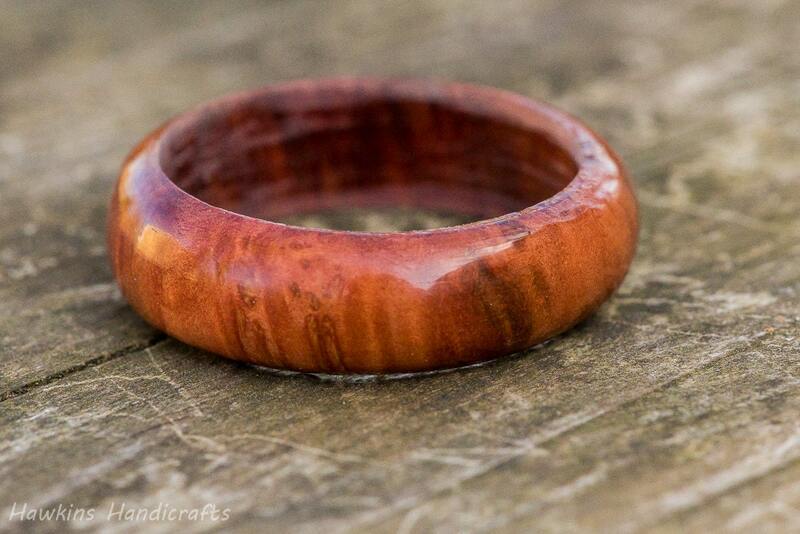 This is a hand-turned mallee burl ring custom made to your specifications - choose the size, width, and shape from the options to create your own handmade ring! 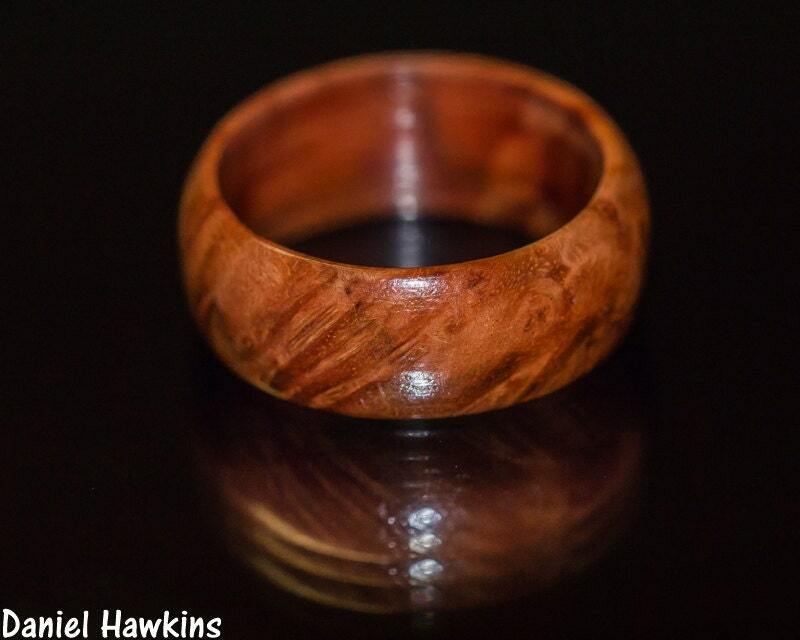 Your ring will have a similar look to those in the pictures - swirled and striped wood grain - but each ring is a unique piece of wood with it's own unique patterning with no two exactly alike! Australian or Aussie burl is a catch-all term for several species of wood. 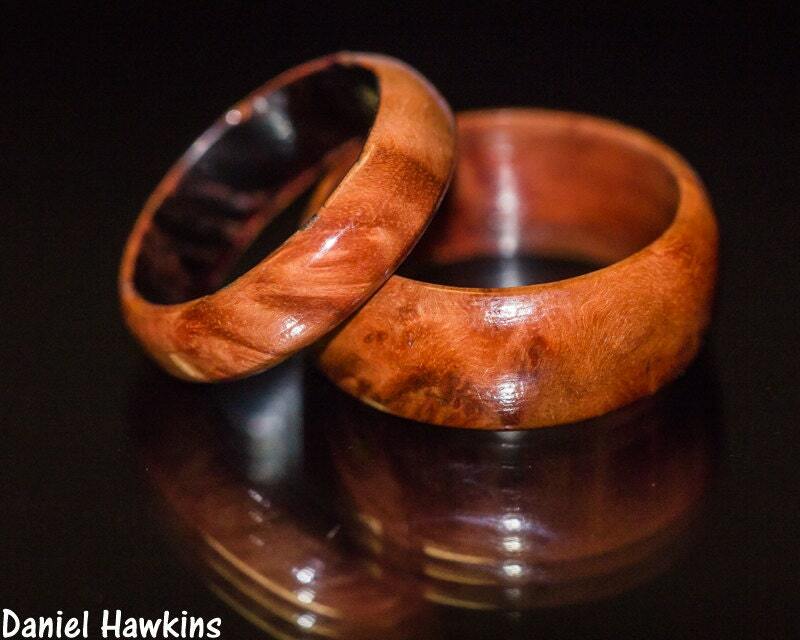 In this case, the rings are made from mallee wood that I've hand selected to ensure good quality for ring making. Mallee often has large void spaces, which make beautiful decorative bowls and bottle stoppers, but are unsuitable for making structurally sound rings. 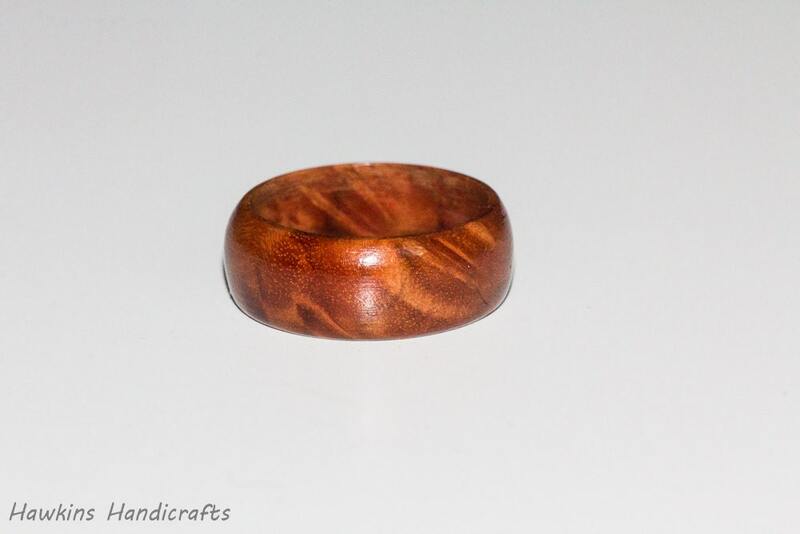 I consider these burl rings to be some of the most beautiful patterned rings available - while all are different, the complex patterns of swirls, spots, and striped grains are perfect for a subtle but gorgeous ring. The ring is absolutely beautiful and I love it! I got it due to the fact that my Dad can no longer wear metal rings, so if I liked it, then he would be getting his finger sized so he can buy one. I'll definitely be buying another ring from you when we get the chance. Just received it a few days ago and it turned out so much better than i thought! I am so happy with it and my boyfriend loves it. I had some questions about durability because of my boyfriends occupation and my questions were answered within hours! Such a great experience and I love the upcycling that is done with all the items. I would definitely buy from Hawkins Handicrafts in the future. Not only is the ring beautiful and unique, but Daniel was so patient and accommodating when I needed to exchange the ring (twice!) for a different size. Great customer service, and an incredible product! Thank you again, Daniel! This is the ring we bought for my husband, and it is exactly what he wanted! 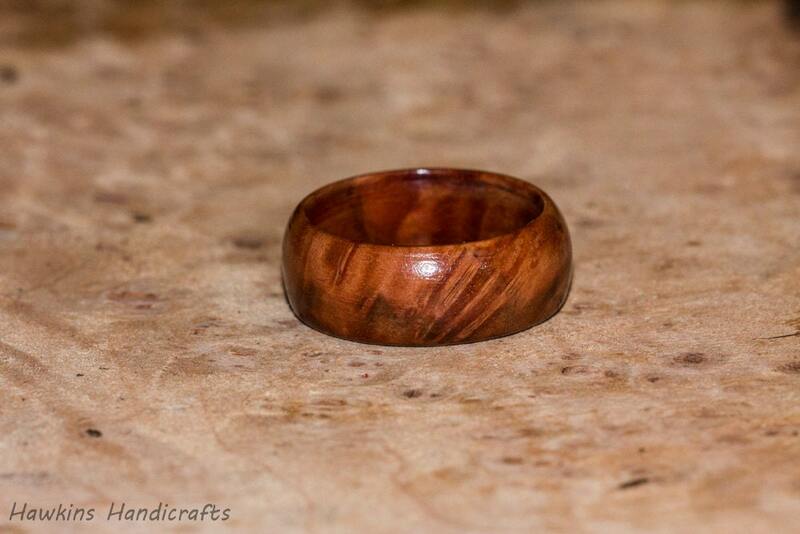 The wood grain is absolutely stunning! The size great, color great, quality great! Nothing but love for this purchase! Really great craftsmanship!!! !